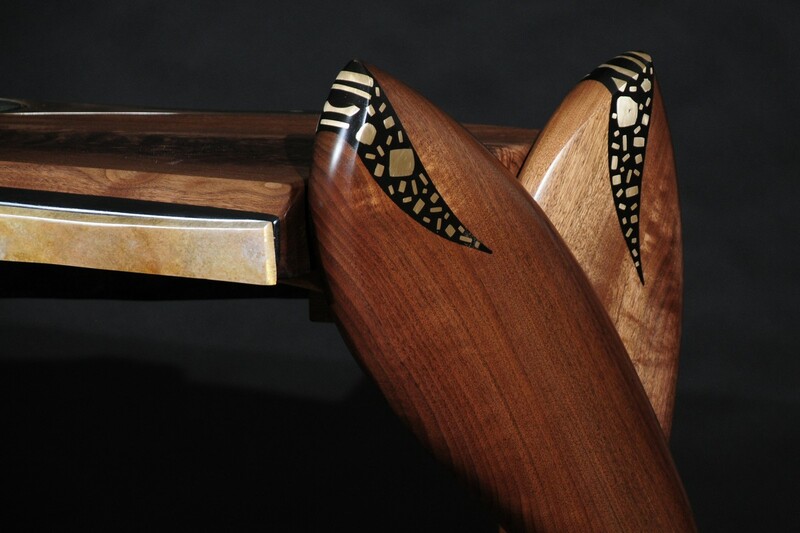 'Joined at the Hip' is the second collaboration with Richard Pankratz, a renowned bronze sculptor. 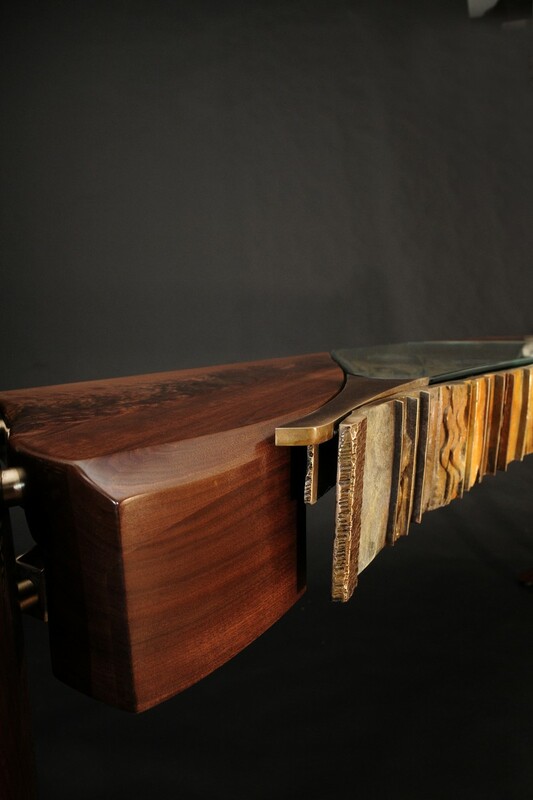 Intended to be used as a sofa table, hall table or an entry statement, the lines and curves of this piece suggest feminine elegance and refinement. 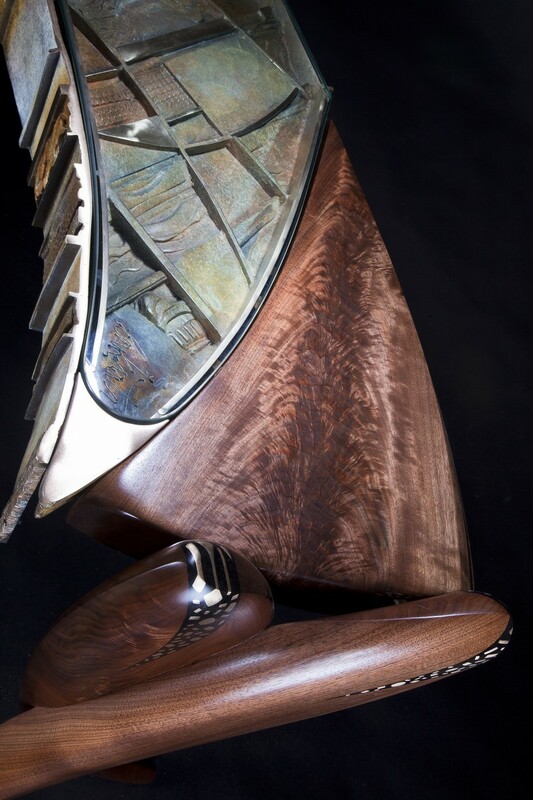 In addition, according to Richard, the middle section of bronze represents a landscape from an aerial view – where you see arroyos, cliffs and river valleys. 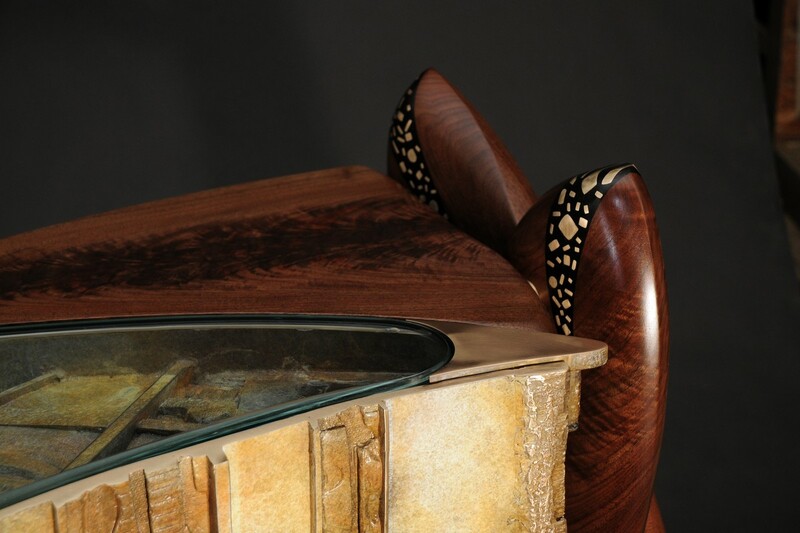 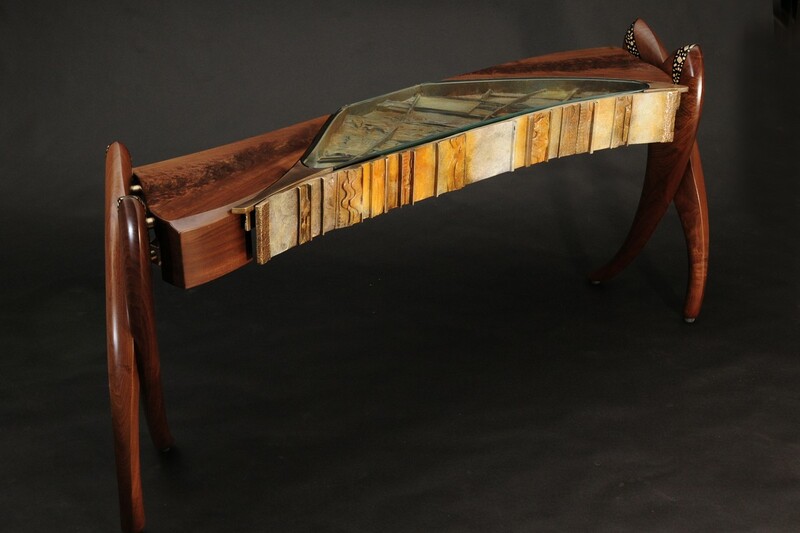 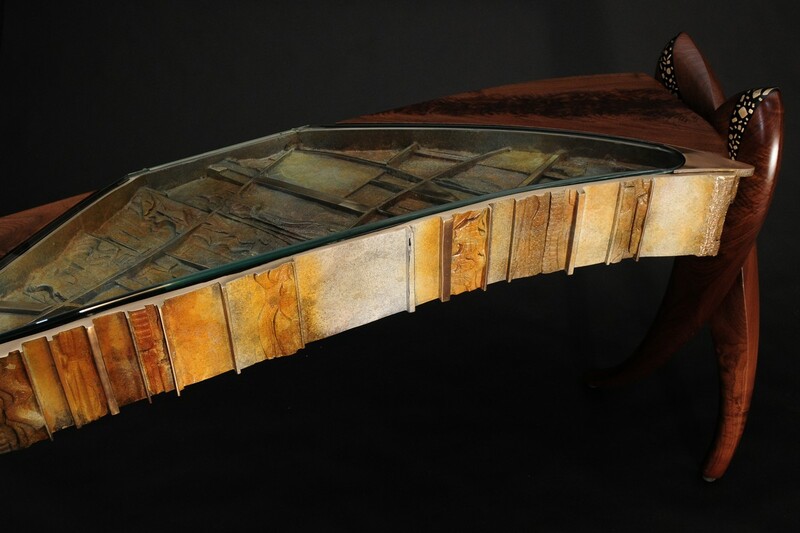 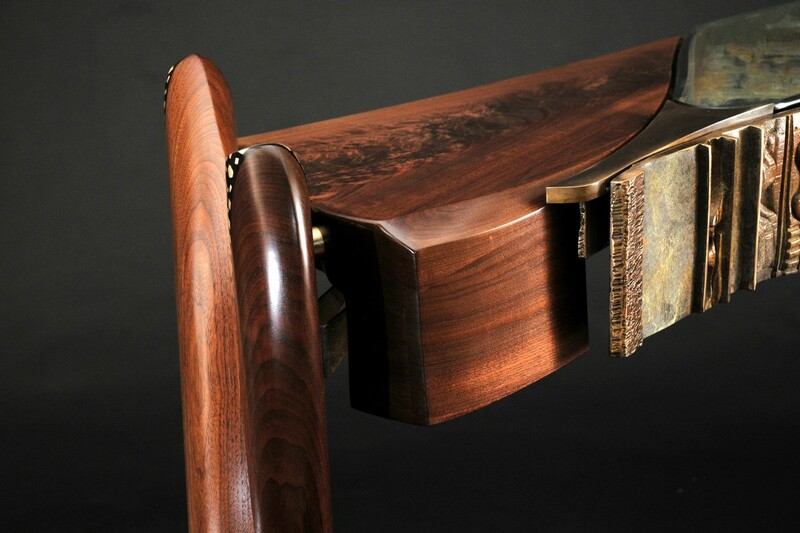 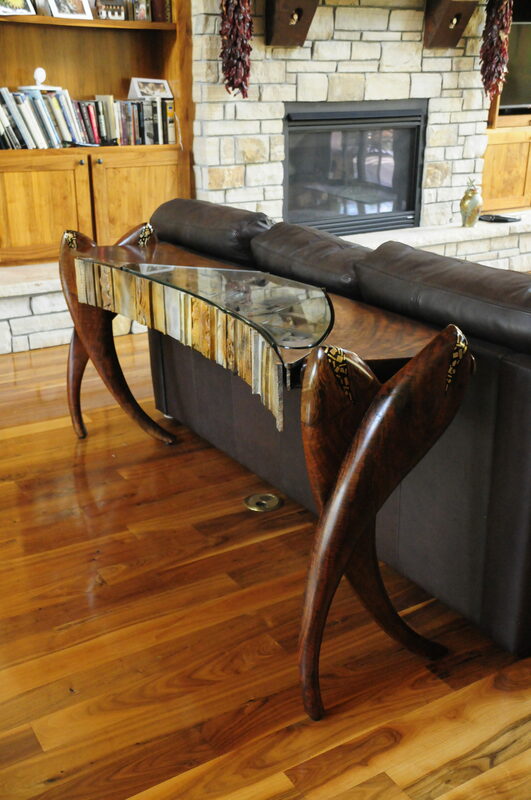 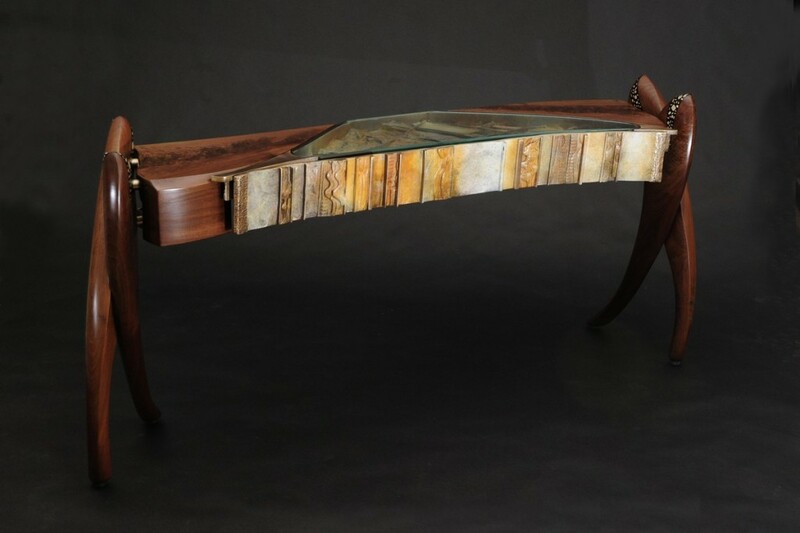 The legs are adorned with random pieces of bronze inlay, and are connected to a highly figured walnut top, which in turn transitions into the bronze and glass of the center.